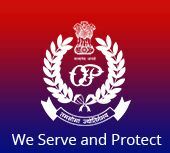 Odisha Police invites application for the post of 1370 Constables in Odisha Industrial Security Force(OISF) newly created by the Government of Odisha. Apply before 04 January 2016. Candidates must have passed High School Certificate examination or equivalent examination conducted by the Board of Secondary Education, Odisha or by any other recognized Board/ Council. The selection of the candidates will be made on the basis of physical measurement/ physical efficiency test, driving test and written examination, medical test. Candidates may obtained application form on payment of Rs. 35/- only in the shape of Bank Draft/ Postal Order in the concerned District or Candidates may downloaded the application forms from the website on payment of Rs. 35/- in shape of Bank Draft/ Postal Order in favour of concerned Supdt. of Police of the Dist. Candidates have to pay Rs. 150/- through Bank Draft/ Postal Order payable to the concerned Supdt. of Police of the district. No fee for SC/ ST candidates. Eligible candidates may send their application in the prescribed format along with Bank Draft/ Postal Order, photo copies of self attested certificates by Post to the concerned Supdt. of Police (T) as per Official Notification or by hand to the concerned District on or before 04.01.2016. Date & Time of Physical Measurement/ Physical Efficiency Test : 17.01.2016 at 07:00 A.M.